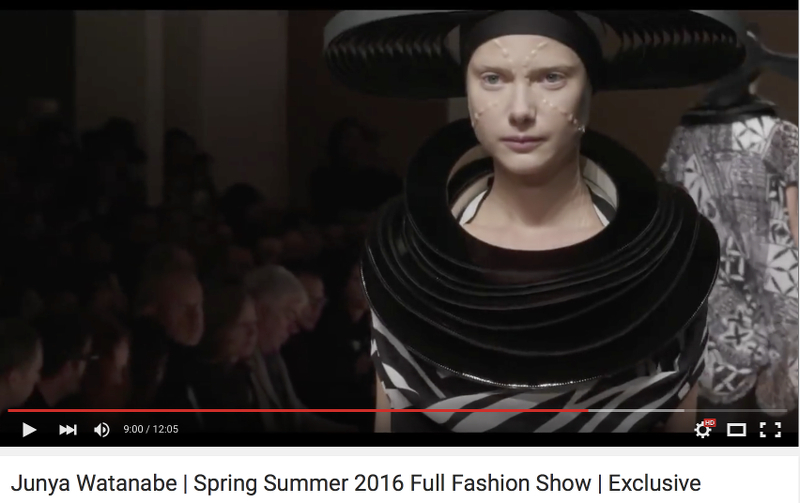 Junya Watanabe Spring/Summer 2016 runway details, Dazed & Confused dazeddigital.com. 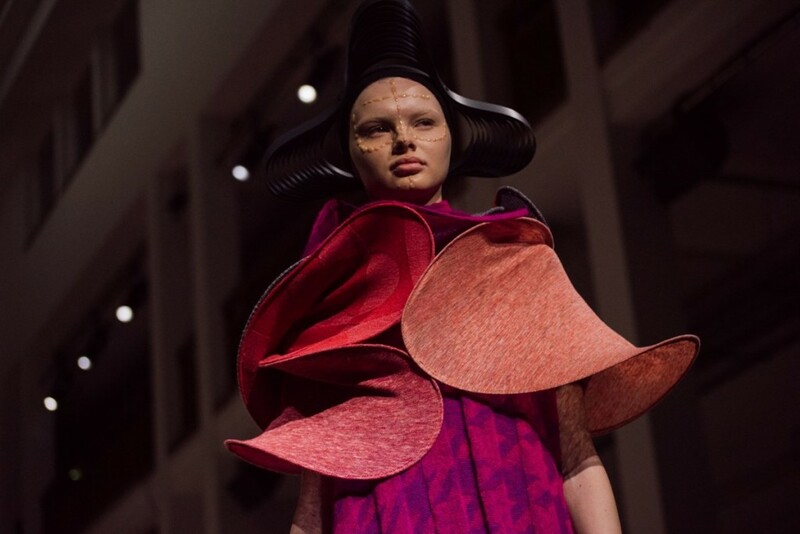 We always brought to light the Junya Watanabe’s peculiar interpretative ability in establishing, in the form of dress, the predominant stresses of our time. Post-modern, cyber-punk, tailor-philosopher of an age crossed by very fast transformations, where, from collection to collection, plastics and brand new materials, parts of abandoned industrial landscapes, occurred, to give shape to his personal metabolization and to his interpretation of the contemporaneity. For the Spring/Summer 2016 the Rei Kawakubo-Comme des Garçons’ favourite, still produced by the Japanese Maison, welcomed his public in an emblematic space of pressing social themes, the Musée de l’Histoire de l’Immigration of Paris. 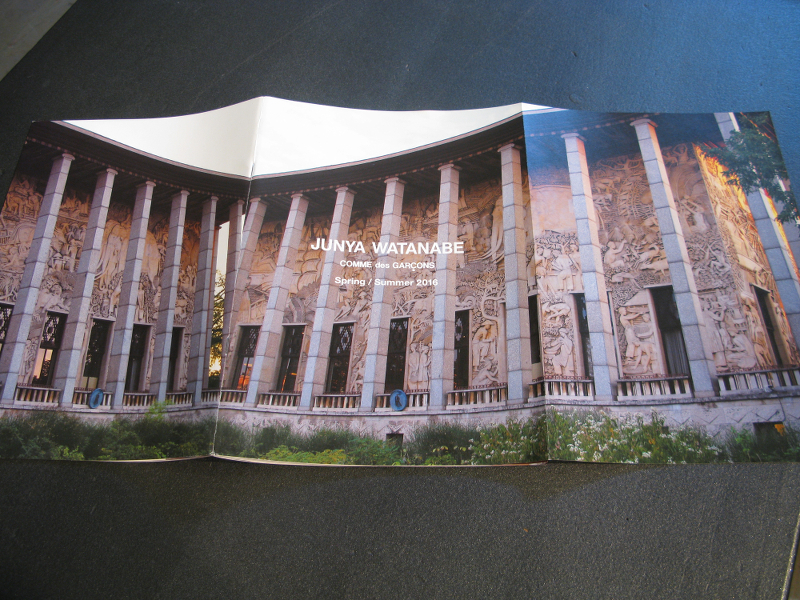 Il Musée de l’Histoire de l’Immigration of Paris on the cover of Junya Watanabe S/S 2016 lookbook. An important clue, a sensitive container of the present restrictive instincts of a continent in a state of alert for the imposing migratory phenomenon of which is witness. A suggestion and also an invitation to change the prospective through which we perceive the present, from an emergency point of view to an enrichment one, the one that only a flow of people and therefore of culture could offer, as the time has been able to testify. And it’s the most problematic and hot continent to be celebrated and evoked, translated by the usual Watanabe’s modern glance. African and electro sonorities go along on the runway with the vivaciousness of the colours and of the decorations: very warm reds or clear, intense blues; kaftans and zebra-stripes dresses, tunics and shirts, garments able to face the highest temperatures, but also able to prepare us for more relaxed and evolved holidays. Constant asymmetries, elliptic constructions, experimental leopard spots on Japanese paper and complex fabric movements at the hem bring Africa and its chromatic, formal and symbolic qualities into the metropolitan and stateless circuits, where any traditional aesthetic contaminate and regenerate itself in peculiar, as independent, anthropological expressions. 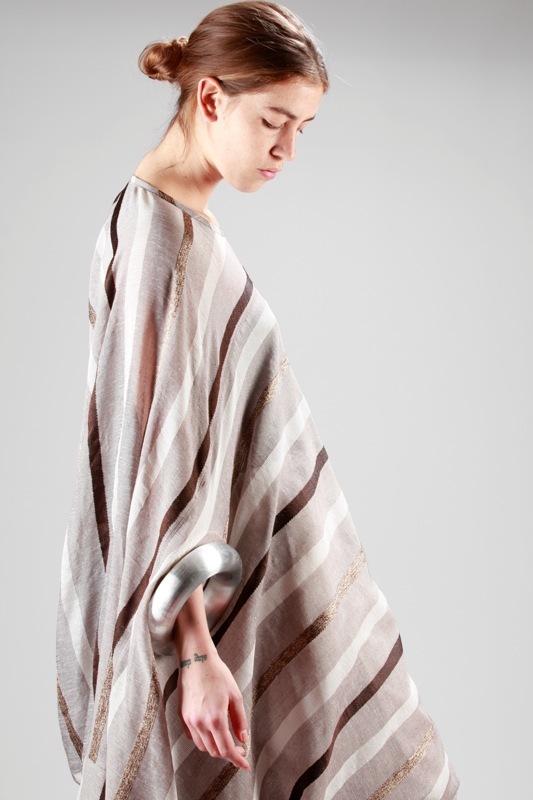 Junya Watanabe long kaftan dress in light polyester canvas with horizontal stripes ‘décor’ style and aluminium bangles, wide crew-neck, wide flared sleeve, big metallic bangles on the cuffs detachable with laces and loops. 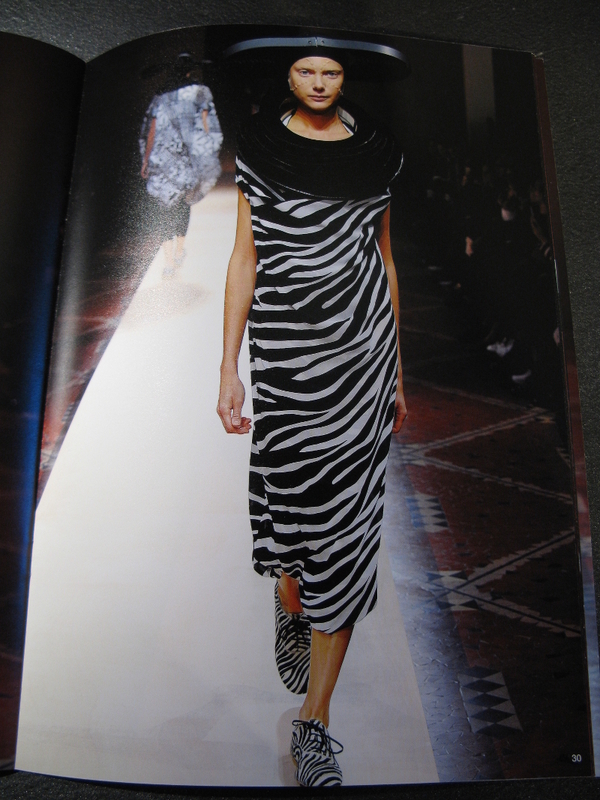 Junya Watanabe zebra-striped dress coming soon. Junya Watanabe multi-layers rings necklace from the bigger to the smaller in shiny polyurethane and polyester imitation leather, it could be placed along the shoulders. 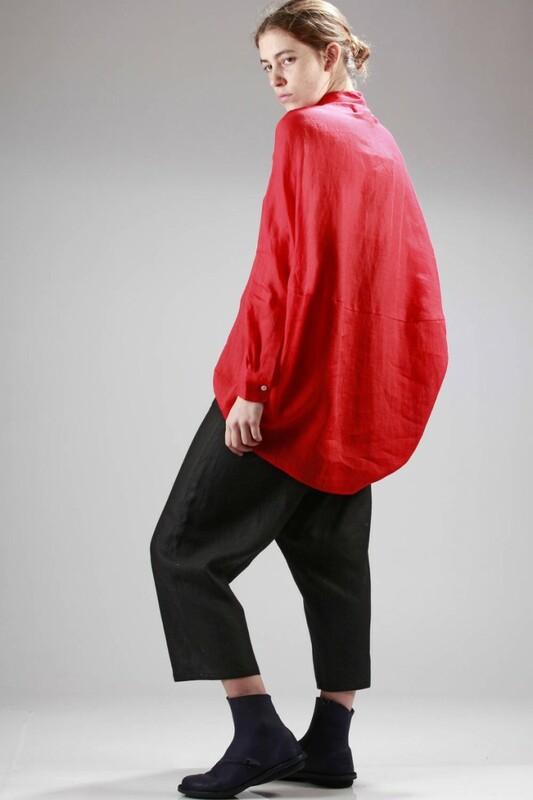 Photography from Junya Watanabe S/S 2016 lookbook. 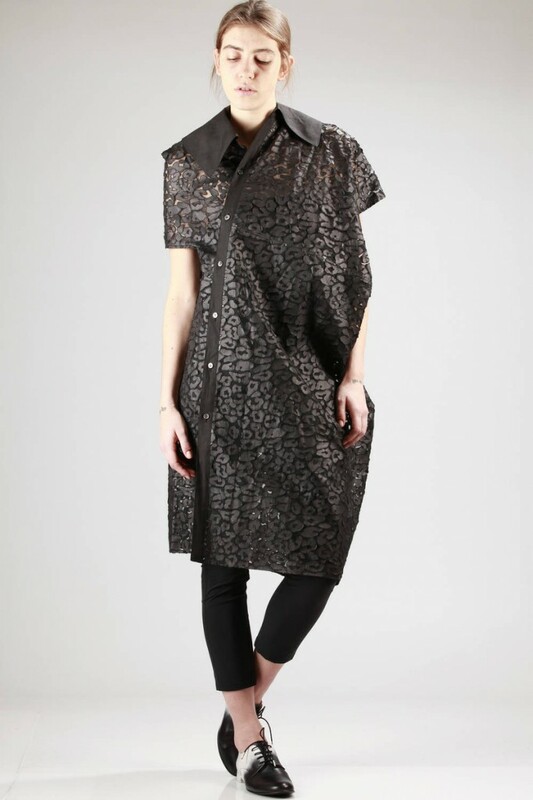 Junya Watanabe asymmetric robe manteau dress in polyester organza with tone on tone small spots processing in Japanese paper, wide half-closed shirt neck, ¾ flared sleeve, buttons closure till the bottom, spiral construction. 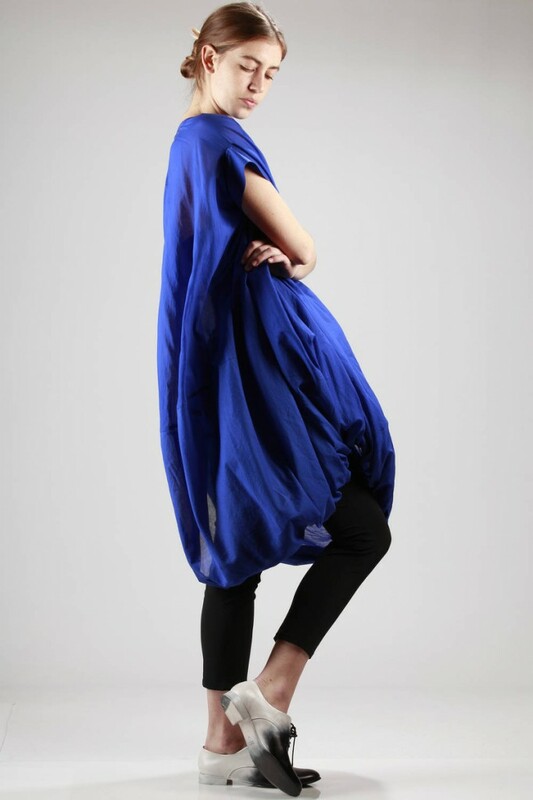 Junya Watanabe 5 pockets jeans-like leggings in light stretch linen and polyurethane canvas, over-the-ankle length, zip and button closure, belt loops. Massimo Giussani man shoe in cowhide leather entirely hand-painted with two colours one shading on the other, with laces and tongue with inner elastic band, leather sole painted in the same colours of the upper part. Junya Watanabe long and wide shirt in light ramié canvas, raglan shoulder, long sleeve, sack line on the back and straight on the front. A punto B long trousers in cotton poplin, elastic band and light curling at the band, welt vertical side pockets. A punto B wide linen canvas trousers, elastic band and light curling at the belt, welt vertical side pockets. Classic’ Trippen ankle-length boot in soft elk leather with rounded tip, diagonal zip on the upper part, side zip closure, removable cork insole, rubber sole. 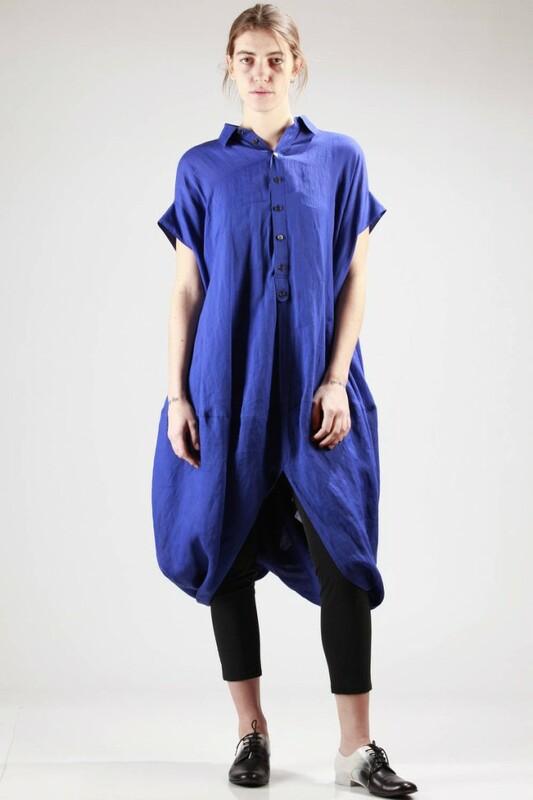 Junya Watanabe wide tunic in light ramié canvas, shirt neck with half-closed closure, flared line with stiff band, sack shape with central upside down V stitching and on the back at the bottom. Junya Waatanabe 5 pockets jeans-like leggings in light stretch linen and polyurethane canvas, over-the-ankle length, zip and button closure, belt loops. 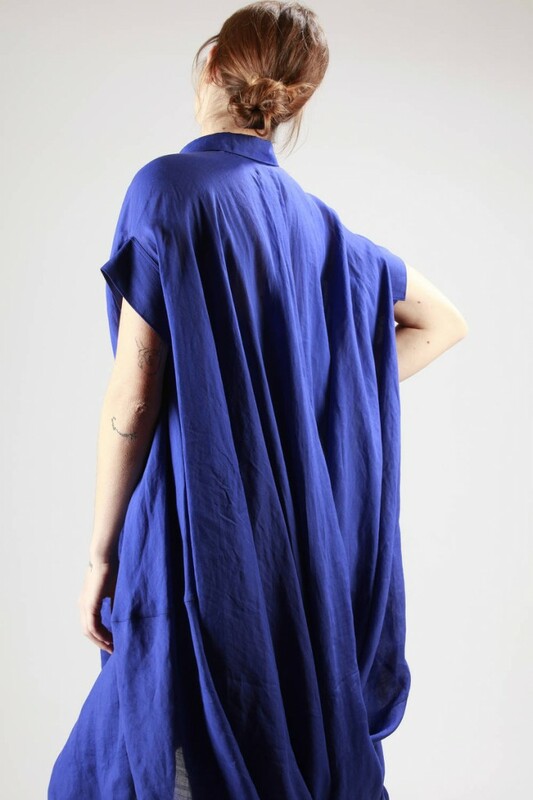 Junya Watanabe wide tunic in light cotton canvas, crew-neck with back small button, flared line with stiff band, sack shape with side stitching towards the inside at the bottom.